The effort we gentlemen put into black tie is near-legendary. There’s no other outfit we spend so much time running the lint-roller across, tightening the side adjusters of and punching dress studs into. But, for some unfathomable reason, that eye for detail seems to stop somewhere shy of our ankles. And no, we’re not talking the equally deplorable sartorial sin of leaving your socks in the drawer — but rather our choices of shoes. Often, we reach for the same black lace-ups that we wear to the office and, frankly, it’s not good enough. Black tie is a uniform that calls for something finer. And, in the same way that you wouldn’t pop on a bow tie for your desk job, or try to shove a cummerbund through your weekend jeans’ belt loops, your black tie shoes should only come out when your tux does. As for their design, some people plump for patent dress shoes. 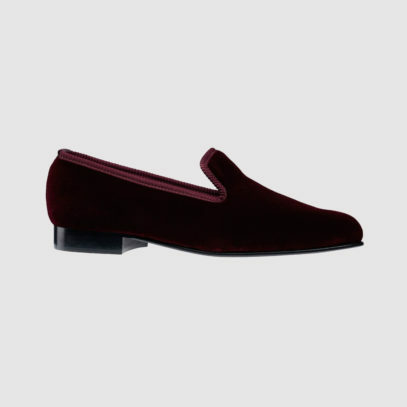 But, while undoubtedly smart, we’re here to tell you: it doesn’t get more elegant than the velvet slipper. 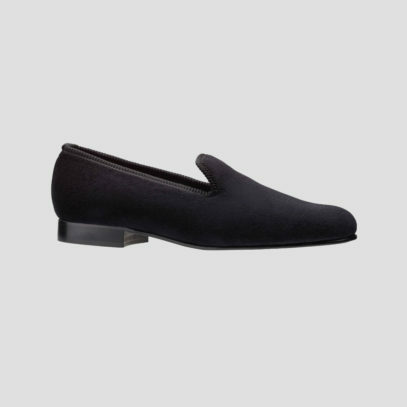 For your first foray into the laceless world of finer formalwear, obviously you should stick to black. It’s a no-brainer. 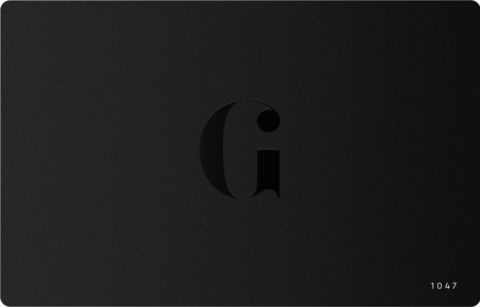 Black will keep your entire outfit looking streamlined, it won’t make too much of a statement, and will offer a hint of edge without going full-blown fashion statement. 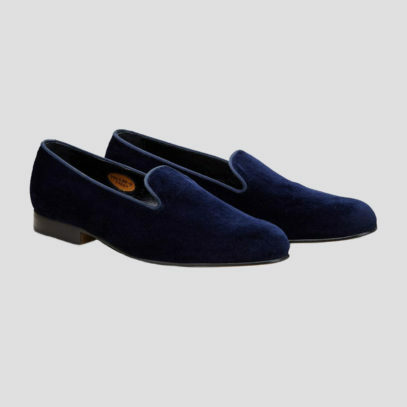 Crockett & Jones offer the Plain Albert, a solid plain house slipper made from soft velvet and with a satin quilted lining. 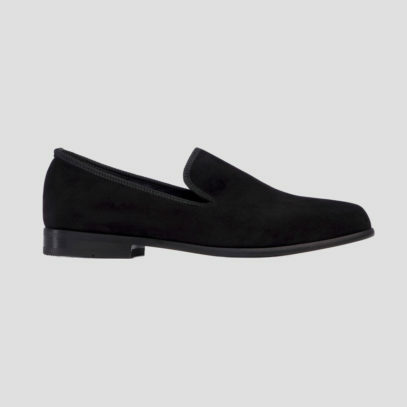 Ralph Lauren, too, have these rounded-toe Collis slippers; plain, presentable and padded inside for comfort. 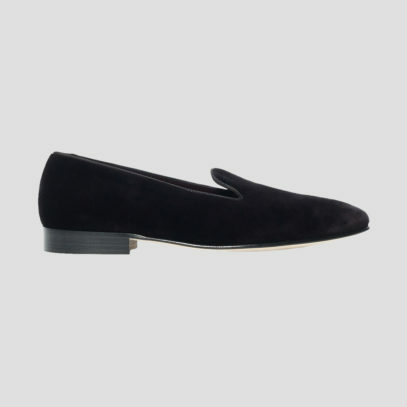 Or, if you’re looking to slightly subvert the velvet slipper, go for Duke + Dexter’s nubuck Bowler — a similar texture to velvet, but with added practicality. If you’re wearing a navy tuxedo, you likely already fancy yourself as a fashionista. It’s a subtle spin on the classic look, but one that nods to fellow partygoers that you keep your finger on the sartorial pulse and enjoy standing out from the crowd. Of course, to go with that navy dinner suit, you need navy slippers. 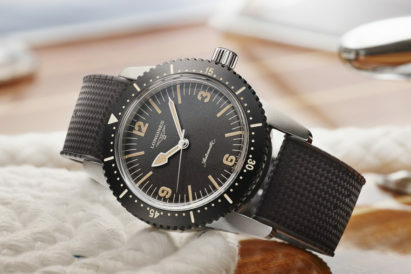 Edward Green should be your go-to in this department. Their iconic Royal Alberts are a rakish choice, crafted in their storied Northampton workshop. 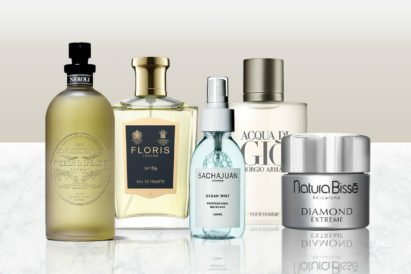 Alternatively, go for the continental look with Dolce & Gabbana’s restrained Italian take on the style. Or look to New & Lingwood, whose offering is lined in a striking golden satin for a hidden style statement. There’s just something about the deep, rich colour of burgundy that pairs so well with the lush, luxurious fabric of velvet. And this sumptuous colour is ideal for black tie — a hint of restrained, refined colour on an otherwise monochromatic get-up. But don’t go too bright. 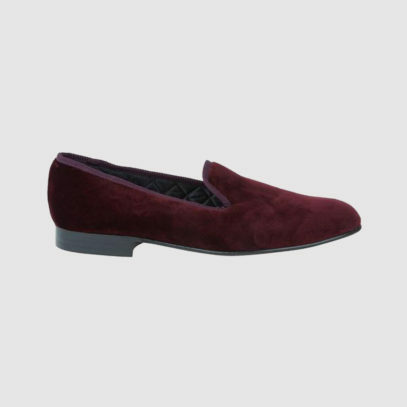 Crockett & Jones have the right idea, with their dark burgundy velvet Plain Alberts. 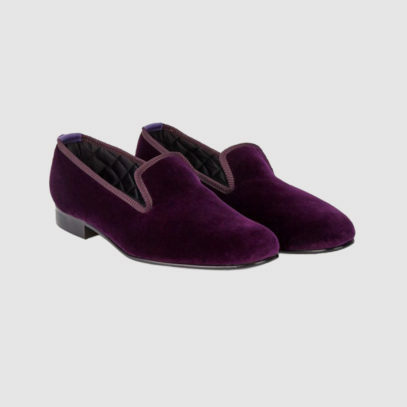 Or Ede & Ravenscroft, whose Knightsbridge slippers in a questionably named shade of ‘aubergine’ feature a buffed leather heel. 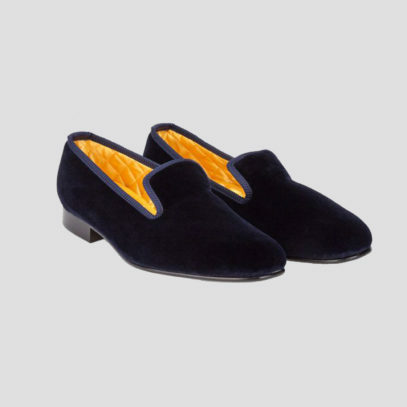 Or, if your tastes are a little more creative, New & Lingwood offer a bespoke service on their velvet dress slippers.